Make a Garment a Month Challenge: December MAGAM is done - with only a few days to spare! December MAGAM is done - with only a few days to spare! Just a few days before the Facebook switchover - I've finished my December MAGAM. Simplicity 1465 is done! love the ruffel , is it attached as the waistband? Uwww, I really like what you have done with this skirt, Star. I have the pattern and that view did NOT move me at all, but now. WOWsers! Gotta check out your blog. Oh, and yeah, figure out FB, ya gotta my sewing sis. That is just so beautiful :). 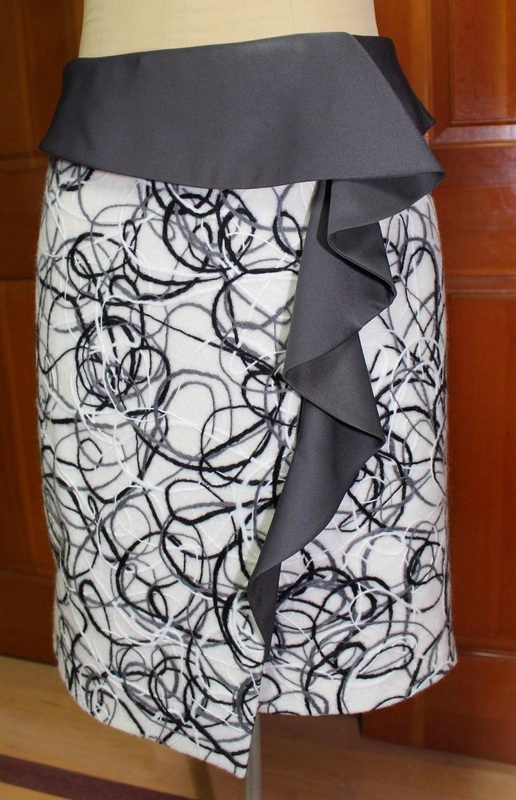 This is a really lovely skirt - the fabric and contrast works so well. I must pop over to your blog to get more detail.